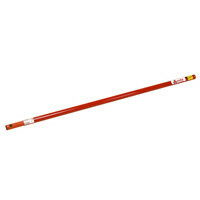 Access poles are required for detectors out of normal reach. Their use saves the time, cost, disruption and risk to safety that ladders, scaffolding or access gear represents. The value of these access poles over ‘other poles’ is not just the quality of their design and manufacture. It becomes evident when they are required on a daily basis and / or are used at great heights. Pull-wound glass fibre construction provides non conductivity with an optimum strength to weight ratio and high tolerance manufacture ensures minimum possible whip or bend at height relative to weight and cost. 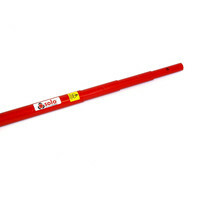 This, coupled with the simple locking mechanism of the telescopic sections means that these access poles combine ease of use with design and manufacturing excellence.